Galaxy A8s and that new thing is the display of this phone which is totally different from the prevailing trends like the Notches from Chinese brands like Huawei and OPPO. Samsung’s Galaxy A8s display is coming with a camera hole on the top front side of the display making it capable to get the full-screen display. As for the memory of this phone is concerned it has 6 GB of RAM super fast and capable to easily play heavy games. Samsung Galaxy A8s got 128 GB of internal storage which has also got an SD card slot which is definitely a dedicated one and it can support up to 512 GB. 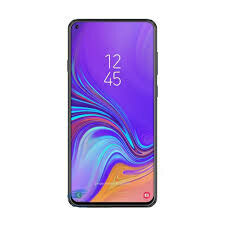 If we talk about the OS then Samsung A8s is going to come out of box with Android Pie.